Kratom is a plant-based psychoactive substance, related to the coffee plant. Historically, they have used it to treat diarrhea, opiate addiction and pain. Currently, you can take it in the form of chopped leaves, tablets or capsules. 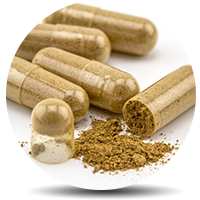 If you take it in small doses, Kratom serves as a mild stimulant. However, in large doses, its effects are very much like opioid drugs. It alters the way of communication between brain cells and causes a rush of euphoria. Kratom does this By binding to certain brain receptors. What are the Dangers of Kratom Addiction? The main psychoactive component of the drug is mitragynine. Notably, it is many times more potent than morphine. Of course, the biggest danger of the drug is the lack of knowledge and information of about its safety. Although Kratom is legal, it is highly addictive. Perhaps, the biggest problem with this substance is its availability. Furthermore, there is a lack of helpful information about its proper usage. Likewise, without any legal prohibitions, anyone can buy it online. As a result, this will increase the recreational use. And more people will suffer. Still, abuse over a longer period of time can cause physical and psychological damage. This is if you don’t treat it. Therefore, it is important to start the treatment for the addiction as soon as possible. Unfortunately, Kratom dependence is a relatively new subject. As a result, there are no standardized treatments for this type of addiction. However, a professional detox facility will certainly be able to help. in addition, a trained medical staff will determine which therapy is the best for each person. An inpatient or outpatient facility can make sure that the patient completes the withdrawal process properly. That way, the patients will be able to regain their health. Support groups and recovery organizations can help former addicts lead a drug-free life. It is their goal to decrease the risk of relapses in the future. I’m so addicted to kratom and I want help to recover. It’s hurting my husband and our kids. Is there any rehabs that can accept insurance like Medicaid?